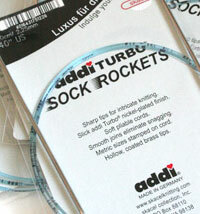 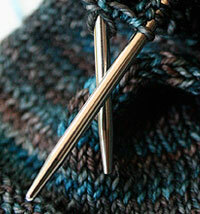 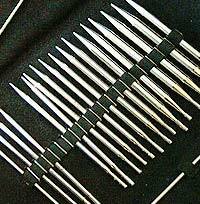 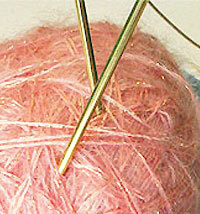 From expert to beginner, circular needles are the most versatile needles. 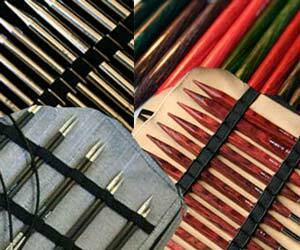 Don't let them scare you. 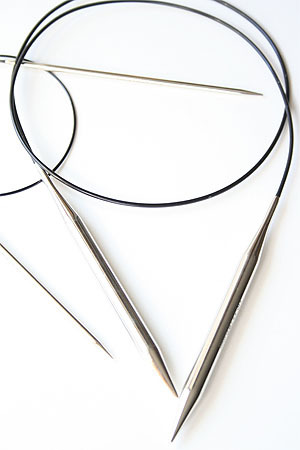 Yes, they can be used for knitting in the round, but any pair of circular needles can also be used as if they were a pair of regular needles. 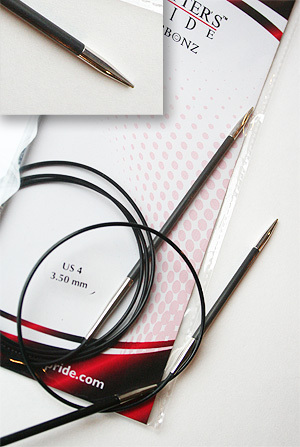 The great thing is they can be held in your lap, rolled up into a project bag, or stuffed in your laptop case much more easily than straight needles. 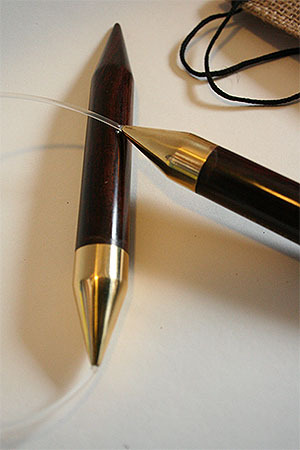 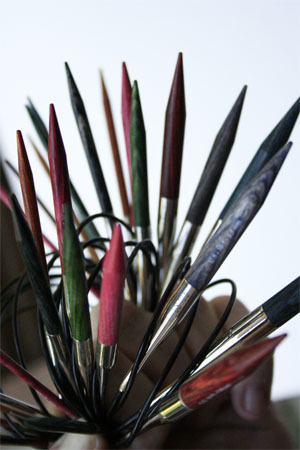 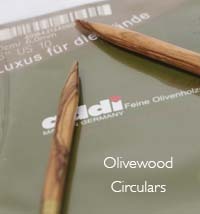 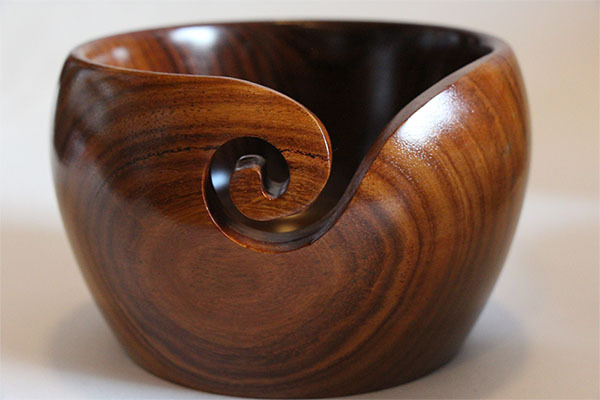 Circular needles come in all kinds of varieties, from the fabulous Nickel Plated Addi Turbos or Rockets, to brass plated lace, to beautiful rosewood or ebony Zen Circulars. 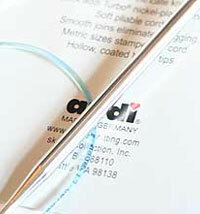 For bulky or chunky yarns we recommend Knitters Pride Jumbo Circulars. 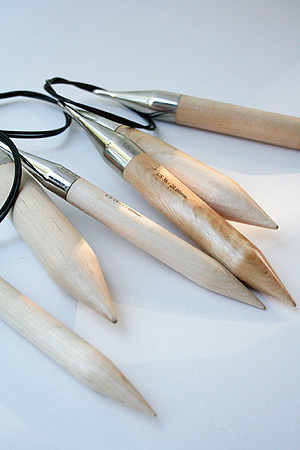 And for real versatility (or a great gift or the knitter who has everything!) 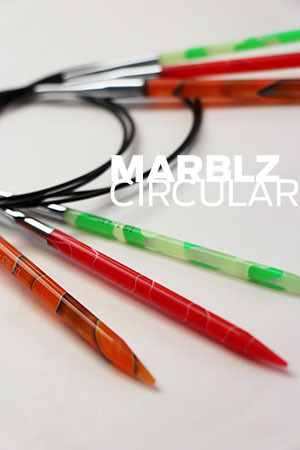 try a set of Interchangeable Circulars! 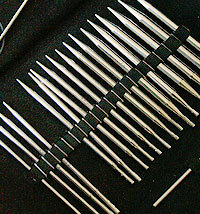 For real versatility (or a great gift), try a set of Interchangeable Circular Knitting Needles!